So let go through how to use the site and repair methods. Error Name: This is will normally be some words that this particular error has been assigned by the developer to help identify the error if ever occurs. Error Number: This will normally be a sequence of numbers and perhaps some letters, again, assigned by the developer. Error Description: Basically how it sounds. It's a short description of the error, to help the developer understand the error more. It will usually be rather technical in its language, so not much use for an average user to understand. Here we explain what this type of error is and its background. It doesn't try to explain the error specifically, but give more of an overview of these types of errors. This is a new feature on ErrorVault, in which we list technical definitions of known words present in the error name and description. Sometimes the definitions might not apply, so take this section with a pinch of salt. This section describes some of the observable symptoms you might experience as a result of this error. The description of these symptoms might range from the more generic 'slow performance' through to the very specific, depending on what error you're dealing with. Similar to above, here we try to explain some of the causes of this type of error. 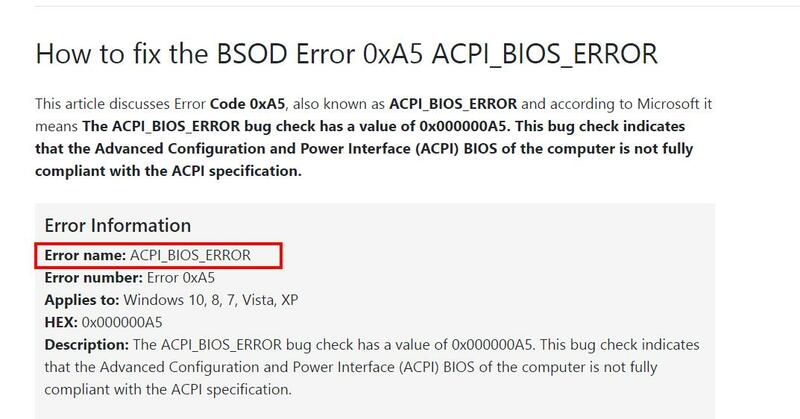 There could be many reasons why you're dealing with this error, and someone else with the same error as you could well have developed it for entirely different reasons to you, so don't worry too much if you don't think any of the listed potential causes apply to you. Now here's the important part, how to fix your error. For many of the errors listed on this site, you'll more than one suggested method to repair it. Similar to the 'Causes' section above, this is because no two computers are truly the same, due to the myriad of different specs and software that might be running on them. As a result, a repair method that might work for one person might not work for someone else, so for this section we have to list multiple methods in the hope that you'll find the repair process that will work for your very unique machine. It might be frustrating to find out that you may have to try multiple methods before you find one that works for you, but sadly it's very rare that you find that 'one repair for all'. Important: If a repair method works for you, please click on the upvote button to the left of the answer, as the next time someone comes on the page, they'll see a box on the right telling them which repair method is currently working the best. 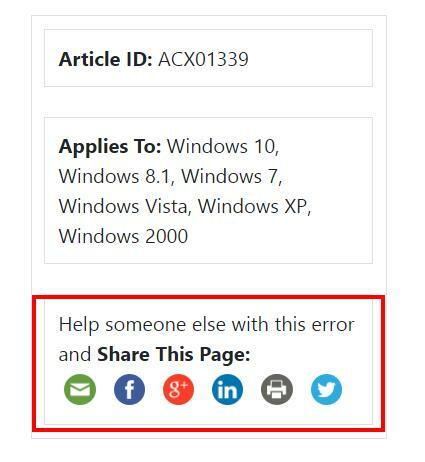 Finally, if the page either helped you understand the issue you're facing, or how to fix it, then please share the page you're on by clicking on the relevant button.